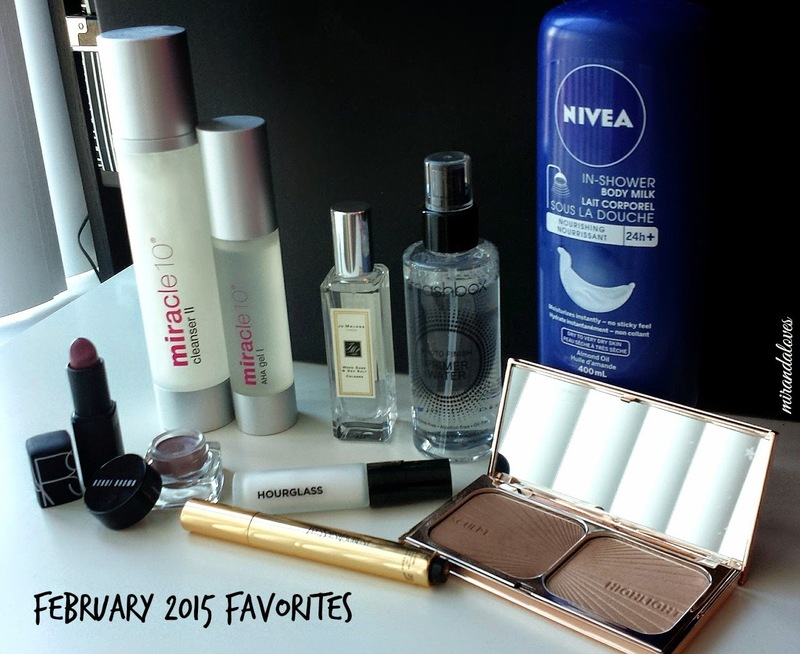 A month has come and gone, and once again I have compiled a list of my favorite products that I have constantly been reaching for in the month of February. At first I was on the fence about the Nivea In Shower Milk as I didn't really see a difference the first few times I used it, however after about a week and a half? I noticed a substantial difference and I love it. I used to use the Lush Buffy Bar or King of Skin, and I loved the instant moisture it delivered however this is at a better price point. The Smashbox Photo Finish Primer Water has been a great primer that doesn't cause any negative reactions to my skin. In addition to priming my skin, I have also used it to set my makeup. The mist is fine, gotta appreciate that. The Hourglass Mineral Veil has been a gift from my close friend, I have always heard such great things about it but never brought myself to splurge on it. It keeps my oily/combination skin at bay and keeps my makeup lasting all day. Makeup wise, I love using the NARS lipstick - it goes with every look I've been using this month and gives a sheer, but buildable, pop of plum to your lips. Cream shadows have become an easy way for me to get my makeup ready in the morning and I've been using the Laura Mercier Caviar Sticks last month. This month I've been reaching for the Bobbi Brown cream shadow pots and if I'm feeling less-lazy that day I will lay some purple shadow on top to set it and blend it out. The YSL Touche Eclat has been great as a hi-lighter to help me fake some cheek bones. Finally - my newest baby and most coveted... my Charlotte Tilbury Sculpt and Hilight palette. The sculpt shade is cool toned, gives you a nice "shadow" color to your face, perfect for contouring. The hilighting shade is perfectly milled and adds a subtle shimmer and glow to your complexion. Nice choices! I've been loving the falsies mascara! That Charolette Tilbury compact is beautiful! I really like how subtle the colours are. 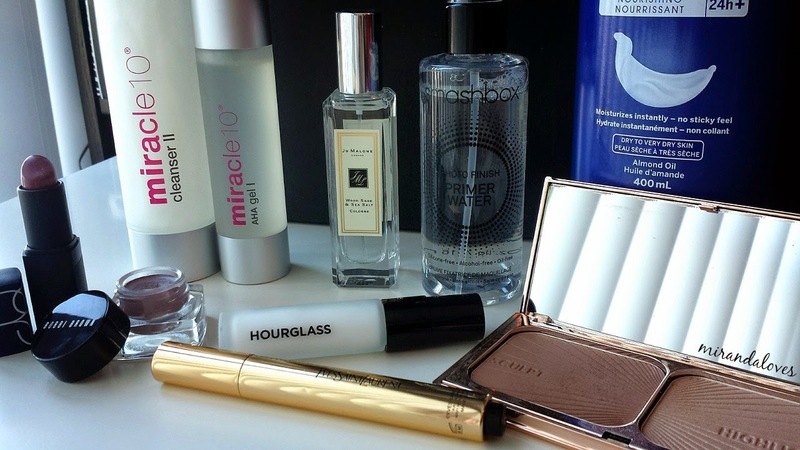 I'd be interested in trying the hourglass primer and the Smashbox spray primer. In the summer especially I deal with pretty oily skin in my Tzone and would be up for trying anything! Haha.